Klein Tools has spent the past 160 years providing tradesmen with the tools they need to complete tough tasks at job sites. Whether you need a wrench, bolt cutter, screwdriver or appropriate accessory, this brand has you covered. However, nothing’s better than enjoying a nice, cold drink with your co-workers either on a lunch break or right at the end of your shift, and Klein Tools introduced a product last year to help make that experience satisfying in the form of the Tradesman Pro Tough Box Cooler. Most features that the average cooler uses are included to make sure that everything you have packed inside is nice and cool. If you’re looking for an ice chest that best suits your profession, you’ll have your mind made up at the end of this Klein Tools Cooler review. 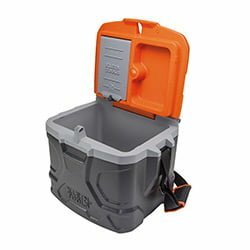 A major benefit of the Tradesman Pro Tough Box Cooler is that it is small enough for you to carry on your own. It weights approximately 12 pounds by itself, so whatever you put inside won’t cause too much of a strain once it’s filled. Klein Tools made sure to include a shoulder strap for easy transportation, which should also tell you how light it is. The ice chest measures 12 inches long, 12 inches high and about 16.25 inches wide on the outside, making it perfect for a replacement for a chair in case you need somewhere to sit after you’ve emptied it out. Because the cooler also acts as a seat, it is deceptively strong due to how small it looks compared to alternatives (more personal lunch coolers here), as the industrial design of the exterior allows it to support someone weighing up to 300 pounds. 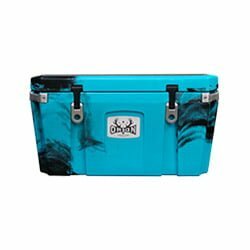 The main compartment aims to hold up to 17 quarts of ice and 18 cans, that way, you can carry two coolers with you, one for drinks for yourself and the rest of your team and the other for your own lunch. As we mentioned before, these coolers are light enough to carry over your shoulder with a strap, so there’s no reason you shouldn’t be able to carry two at once. Security is a major concern when it comes to coolers, as you want to make sure that not only nothing falls out of your ice chest, but it’s not left open or easy to access for someone who wants to steal something. You don’t have to worry about that with Klein Tools’ cooler, as it comes with a latch that provides a space to lock your cooler shut. The main lid opens at a full 180 degrees so that you can easily grab items at the bottom of the interior compartment, and there’s also a stainless steel hinged lid that can open at 90 degrees to store smaller items and make them easily accessible. While most top coolers are designed to keep your food and drinks cold for at least a weekend, Klein Tools is designed more for just satisfaction during the workday. 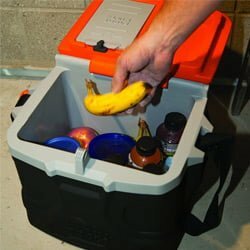 The Polyurethane Foam on the inside aims to keep your lunch and drinks nice and cool for up to 30 hours, so you should plan on refilling your cooler every day if you want to make sure that whatever nutrition you have stored in it will be in prime condition when the lunch break bell sounds. This is why we advise being careful about how much food, drinks, and ice you bring with you to work so that you don’t end up with warm water and Gatorade. As we mentioned earlier, this cooler acts as a lunch box for adults working outside in the hot sun, but there are other materials you can store in it. You can keep medicine for those times when you or a co-worker gets injured or sick, napkins in case you put too much sauce on your sandwich, keys for certain material needed for your job, and extra utensils in case you don’t have enough room in your toolbox. You can store these items in both the main compartment and the container with the hinged lid, and the latter can be a safe haven for your wallet and car keys if you don’t know a safer space to put them. However, this ice chest isn’t waterproof, so if you want to avoid your wallet and keys getting wet, you may want to think hard about using it as a storage spot. The convenience that the size and ability to store lighter items has gained the cooler a large amount of praise by users, which allows you to carry it on the bus in case you commute to your job. However, unlike most ice chests, this one doesn’t come with a drain plug, so you’ll have to make sure that you have the right amount of ice in it so that it doesn’t get too heavy with water later on. 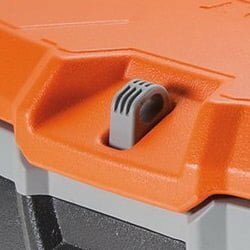 Linda Rolfe, senior product manager at Klein Tools, emphasizes the usage of the cooler for tradesmen, which helps with its ability to store multiple items. 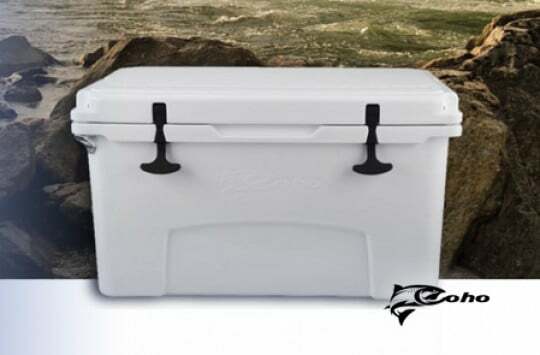 The new Tradesman Pro Tough Box Cooler is the most durable and reliable cooler on the market. We know electricians work on their feet all day, so we designed the dual-purpose cooler as a place where electricians can sit during their lunch break and enjoy cold drinks and other food items all day long. The multi-compartment cooler also includes a lock hasp to keep all their items safe. 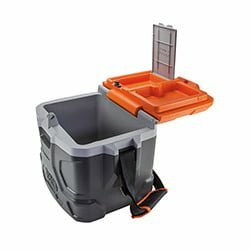 In case you’re carrying light one day, working only a half day or just want something easier to hold, you’ll be happy to know that Klein Tools has another option with its Soft Sided Cooler. 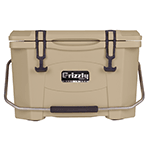 This option is a much lighter alternative to the Tough Box Cooler, weighing only 3.4 pounds and measuring 13 inches high, 9.5 inches long and 12 inches wide on the outside, which means that you could probably carry several of them over one shoulder if you wanted. 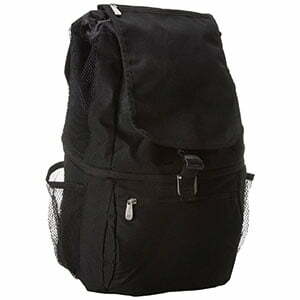 The softer option uses a zipper to keep items secure inside, acting more like a knapsack than a lunch box. It comes with a shoulder strap to make carrying it a piece of cake, and mesh side pockets are included to hold extra items. You can keep your lunch and drinks inside, as well as medicine, utensils and additional tools needed for your job, and the upper “doghouse” compartment is useful in case you run out of room to store your stuff. This makes the cooler useful for just as many scenarios as its tougher brother. The double-thick, anti-microbial liner is designed to deal with leaks so that you won’t get everything soaked at the end of the day, and the cooler is able to deal with bad weather and other harsh conditions thanks to its 1680d ballistic weave and full-molded bottom. The cooler will be able to keep your food and drinks cold for up to 12 hours, making it perfect for a half-day, whether it’s due to bad weather or an upcoming holiday. 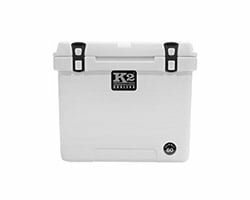 While the Klein Tools Soft Sided Cooler bears a similar appearance as the Yeti Hopper and can be useful in similar situations, it can serve as just as much a quality product as the bigger brand while saving yourself a good amount of money in the process. 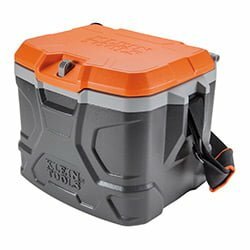 Where To Buy Klein Tools Coolers? In comparison to more popular brands, Klein Tools’ coolers do a great job at sparing your wallet. You can get the Tradesman Pro Tough Box Cooler for around $50 and the Soft Cooler for about $40, which means that you won’t have to spend more than ~$100 if you want to get them both. These offerings are available on Klein Tools’ website, but you can also get them on Amazon if you’re more used to buying items from well-known online retailers. The extra materials are available on these sites, as well, and the price of the whole cooler makes it worth it to cough up an few extra bucks. The working man is the best fit for this ice chest, as it serves as a case for not only your lunch and pack of drinks for your friends after a long day out in the sun, but a spot for storing extra equipment and medicine materials for dangerous situations. 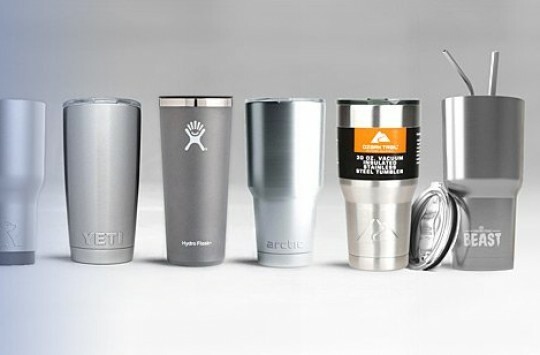 Both the tough version and the soft version are easy to carry, even with ice, and they can even keep your wallet and keys safe inside. 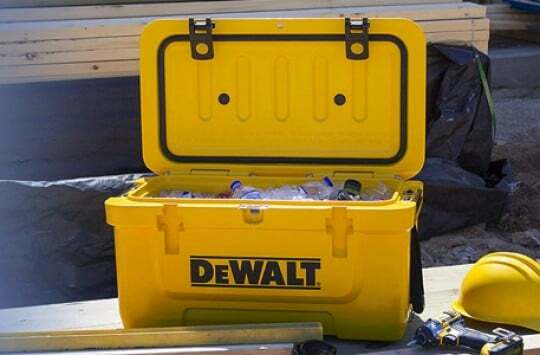 If you’re looking for an ice chest that make the work day a little bit more relaxing, give Klein Tools’ coolers a shot.